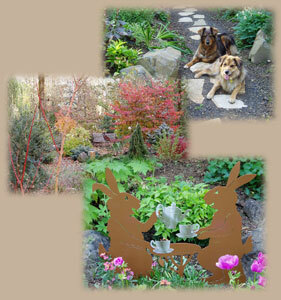 Arbutus Garden Artswe are a small nursery and display garden in SE Portland in western Oregon. 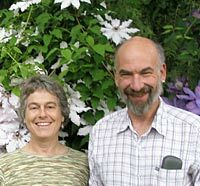 Our nursery specializes in noteworthy (meaning notable for unique features and worth growing in your garden) Japanese maples, dwarf conifers, and Epimediums. We grow many cutting edge and unusual varieties. Our display garden and nursery are open to the public through the spring and fall by appointment and also on specific weekends listed on our Events Calendar. Our display garden is on an island surrounded by Johnson Creek in a little nook near the Springwater Trail in SE Portland. The garden shows our fondness for seasonally interesting plants and packs a lot into a relatively small area. 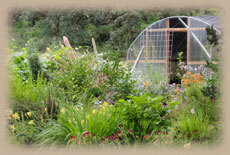 We bring a selection of our nursery to many of the plant sales held in the Portland area and the Willamette Valley. Please check out our current schedule.